Baldwin is asking if Trump's tweet "constitutes a threat" to his family's safety. By "SNL" standards, it was par for the course. But Trump – who has fired back at the show several times in the past – fired up his Twitter account again on Sunday morning. 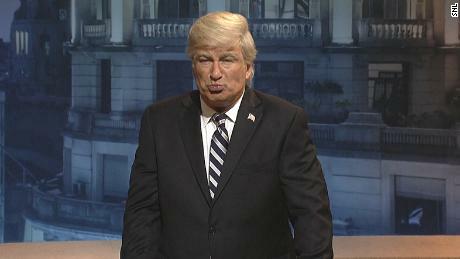 Trump called "SNL" unfunny and unfair, indicating that he probably saw at least parts of the episode from the night before. "He's watching," CNN media analyst Bill Carter said on Sunday's "Reliable Sources." Trump's tweet asked, "How do the Networks get away with these total Republican hit jobs without retribution ? He added: "This is the real collusion!" Many social media commenters just shrugged off the president's talk about "retribution" for a sketch comedy show. But Peter Baker of The New York Times noted on Twitter that "no other president in decades publicly threatened" retribution "against a television network because it satirized him." In the past, Trump has also suggested that NBC station licenses should be challenged, without any obvious follow-up. Trump's frequent tweets against the media – primarily targeting news outlets that he calls the "enemy of the people" – have caused considerable concern to NBC and other companies. 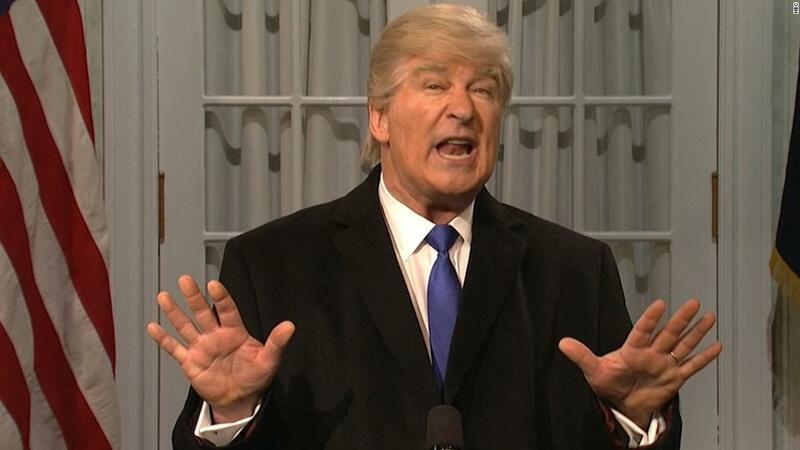 At the end of the day on Sunday, Baldwin tweeted "I wonder if a sitting president exhorting his followers that my role in a TV comedy qualifies me as an enemy of the people constitutes a threat to my safety and that of me family? " Meanwhile, Senate Minority Leader Chuck Schumer demonstrated another way for a politician to respond to an impersonator. The senator then tweeted a link to the segment – which had Moffat holding up a smartphone – and said: "Good impersonation, SNL. But got one thing wrong. I use a flip phone!"